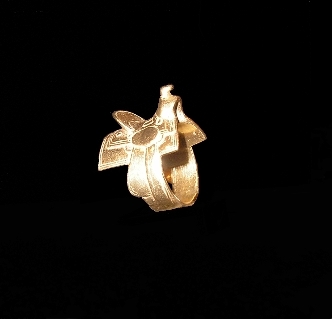 Susan Adams 14K saddle ring, copy of an F.A. Menea Wyoming territorial saddle. The ring artfully sits upon the ring finger as it would sit upon the horse's back.